So you’ve caught the DIY bug and are feeling inspired by the new year to tackle your own bathroom remodel—congratulations! 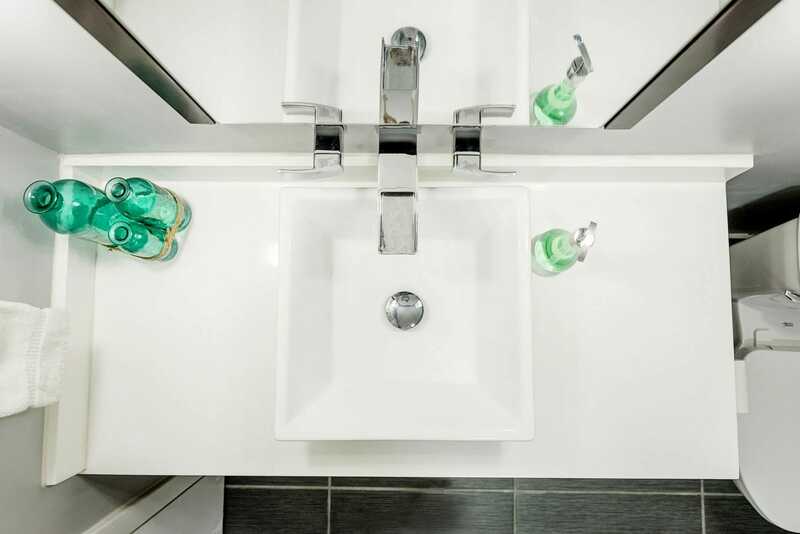 You’ve got this under control and can be confident that you’re making the right decision in remodeling your bathroom to add extra value to your home. Plus, if you’re doing this on a budget you’re adding even more value to your pocket by cutting down on the expenses of renovation by doing most of the work yourself. You clever homeowner, you. But before you get started, there are some questions you’ll want to consider that can make everyone’s life much easier. And when you’re done and enjoying the peace and quiet of your brand-new (well, kind of) bathroom, you’ll be glad you did. What’s your mold protection plan? There are many different options for mold-proofing your bathroom, but you’ll want to have the materials prepared and ready to go to streamline the process. Once you’ve stripped your bathroom down to bare bones, it’s time to re-build from the ground up, and if your bathroom is prone to mold, it may be worthwhile to investigate your mold protection options. For example, blue board is a form of drywall that’s mold resistant and only costs a few dollars more. It may not sound like a big deal, but think about all the moisture your bathroom creates on a daily basis, trapped in such a small space. A fan is a necessity in keeping your bathroom as healthy and mold-free as possible. But what kind should you buy? If you opt for a separate fan and light, your overall cost will be cheaper, but they’ll be trickier to replace. If you decide to go with a combination fan, you’ll be spending more money, but will be choosing the more convenient option. What kind of budget do you need for professional services? There’s a lot you can do on your own for a bathroom remodel, but if you’re touching plumbing or electricity, you will need to hire a professional. A remodel is a great opportunity to assess if your current bathroom is working for you and move outlets to a more convenient location or update plumbing to more efficient versions. Does the layout of the bathroom work for you? It may be easier than you think to freshen the layout of your bathroom without actually making a lot of changes. For example, an easy option is to rip out a linen closet and replace it with cabinets. It’s a big change without the added expense of moving plumbing. And let’s be real about the purpose of a bathroom and not forget the little things, like where is the toilet paper holder going to go? 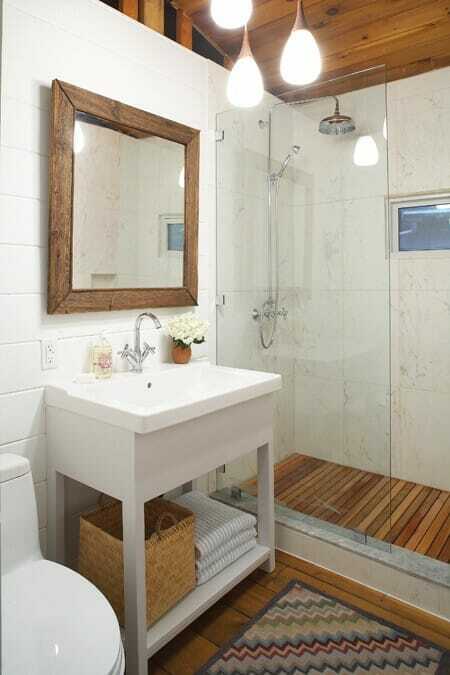 Plan the flow of your bathroom strategically and you’ll avoid any unwanted surprises later on. Do you have what it takes to do a tiled shower? If you’re considering replacing your drop-in shower with a tiled version, you’re going to have to do your homework. With mudded tiled showers, the need to waterproof is real and it’s not always easy. There are a lot of steps involved, so research and preparation is key. Do you want to spend the money on a shower door? If you’re yearning for a fancy-schamncy glass shower door, but don’t have the budget at the moment or want to reallocate those funds for other important things, like a heated toilet seat, keep in mind that because glass shower doors are standard-sized, you can always add one later. Stick with a colorful shower curtain for a while while you save up for a shower door. Don’t tiptoe around the tile. What size tile do you want? Larger tiles are harder to lay down because they are less forgiving, but you can cover ground faster with them. However, they are also more slippery, so inside the shower, you will need smaller tiles with larger grout areas for your feet to hold on to. Mosaic tiles are a good idea for anti-slip protection if you don’t want rugs on your floor. What do you want to do with your cabinets? Before you seal the deal with your DIY bathroom remodel, you’ll need to make a decision about your cabinets. First up, thoroughly check inside each cabinet for water damage. If you will need to replace the whole cabinet, you can then decide if you want to have a custom bathroom cabinet made to fit a piece of pre-cut countertop or go the other way around and have a countertop cut to fit your cabinet. However, if your cabinets are not water damaged, it may make more sense to repurpose your vanity by sanding them down and painting them with a latex or oil-based paint. 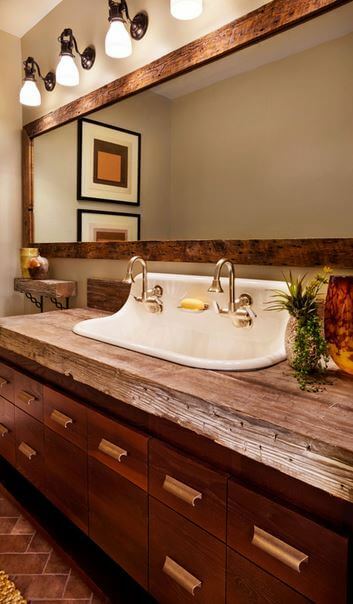 Can you re-use older bathroom fixtures? While it may be tempting to throw out all the older bathroom fixtures, like that cream-colored toilet, it may be worth your time (and wallet) to consider if you can incorporate a cream-colored bathroom scheme. You can purchase newer almond or cream-colored components, such as a toilet, to blend the old with the new without actually having to purchase all-new appliances. Now that’s some DIY remodeling to be proud of.